This report gathers and displays all of the deals and receipt items, for the services and goods that have been provided to the customer, in the selected dates. In this window, fill in the required dates for the report, as well as the report division. Choose specific client, agency and station ID (if required). The primary division is displayed according to the "Report division" field definition. 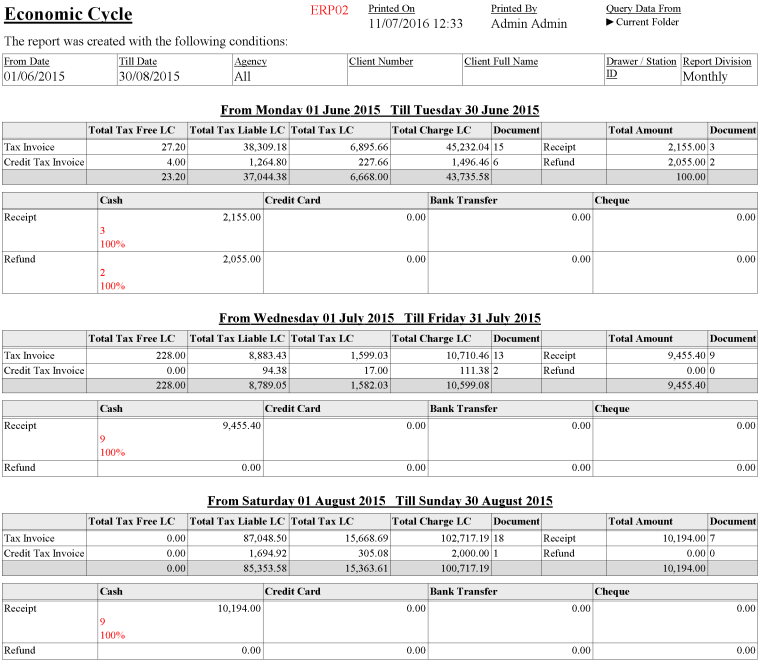 If no client is selected, the report displays the gathered data of all of the clients, for the required dates.